Whether you're taking an overseas trip with lots of sightseeing and new experiences or heading out with the family for a weekend of camping, it's important to preserve the memories of these excursions. Travel templates for scrapbooking can help you put together pretty pages in no time, with lots of space for photos, notes, and trinkets from your trip. The following travel templates capture a variety of different styles and themes for your layouts. These templates can be downloaded and saved to use with your favorite digital scrapbooking software, or printed out to create traditional scrapbook pages. If you need help downloading the templates, check out these helpful tips. All templates are 12x12 in size. Click to download and print this template. 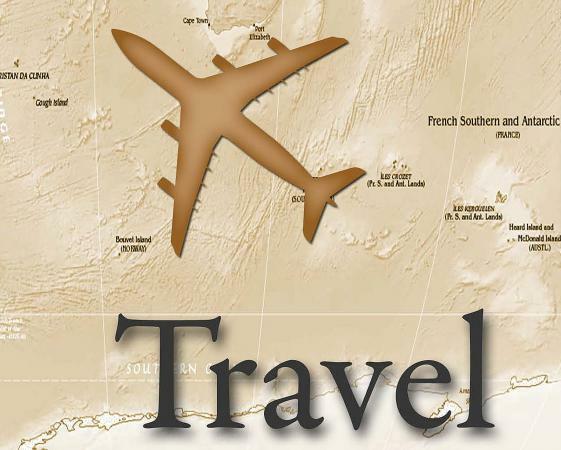 With a world map background and plenty of travel-themed images, this template is perfect for any world traveler. Place your photos, ticket stubs, and other mementos in the provided spaces, and be sure to include some snippets from brochures and travel maps to detail where the photos were taken and the places you visited. You can add some color to the included images with paint, markers, or chalk, or add a bit of light blue glitter to the map's oceans for added pizzazz. 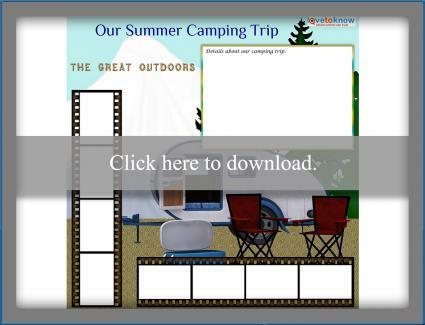 Click to download this camping scrapbook template. If you love the great outdoors, this camping scrapbook template will help you capture all the great pictures and events from your summer camping excursions. There's a large section for journaling as well as plenty of space for photos. If you like to collect leaves or wild flowers on your camping trips, press and preserve them to add to this page. 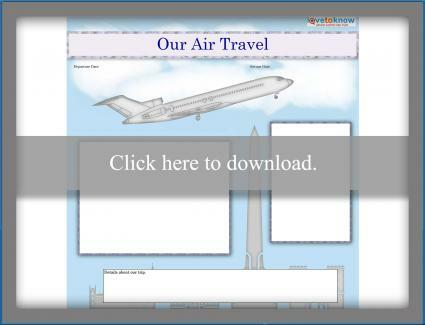 Download this air travel template. Air travel can be exciting, especially if you or your children are experiencing it for the first time. Record your travel dates and memorable moments with this template. Take lots of photos from your departure and arrival airports, on board the plane, and at your destination to create collages for the photo slots. Tuck away a souvenir like a brochure or napkin with the airline's logo to attach to the image of the plane. Templates make quick work of creating beautiful scrapbook layouts, and you're still free to use your creativity to personalize your pages. 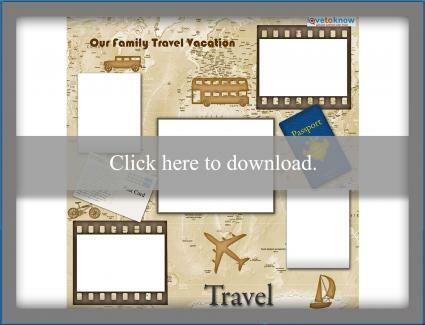 Consider printing out several of your chosen templates to make matching pages for each family member on the trip, allowing him or her to choose the photos and souvenirs that he or she would like included. Put your pages together for an impressive and fun scrapbook to commemorate your travels.